“It’s a miracle,” he remarked. McGuire marveled openly at the hard work of Jerry Cahill as he pedaled hard on his stationary bike at Chelsea Piers. 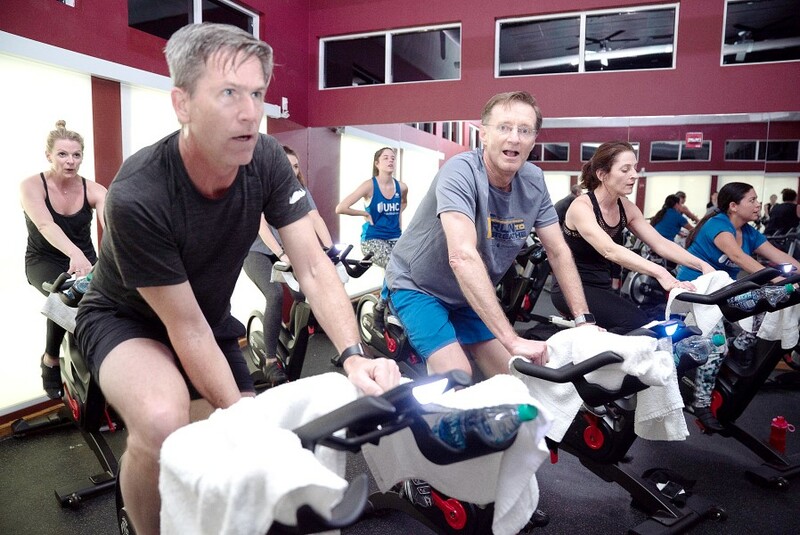 An avid cyclist, Cahill was participating in an event to raise awareness for cystic fibrosis (CF), an incurable and chronic disease affecting the lungs and digestive system. 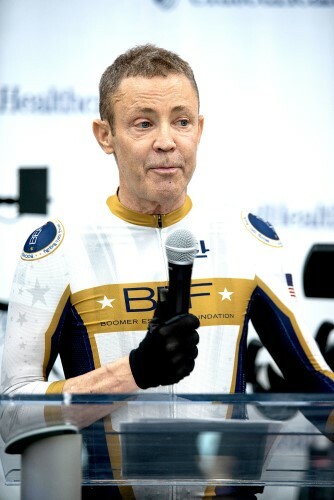 Now 62 years old, the fact that he is still pedaling defies many odds. Cahill himself suffers from CF, and the average life expectancy for those with the disease is 37 years. He attributed his extended life span to frequent exercise. Though the disease does not have a cure, Cahill said that treatments are improving all the time. Cahill once ran marathons to help combat his disease, but switched to cycling after needing two knee replacements. “Now I’m cycling as much as possible, trying to raise awareness for the disease,” he said. 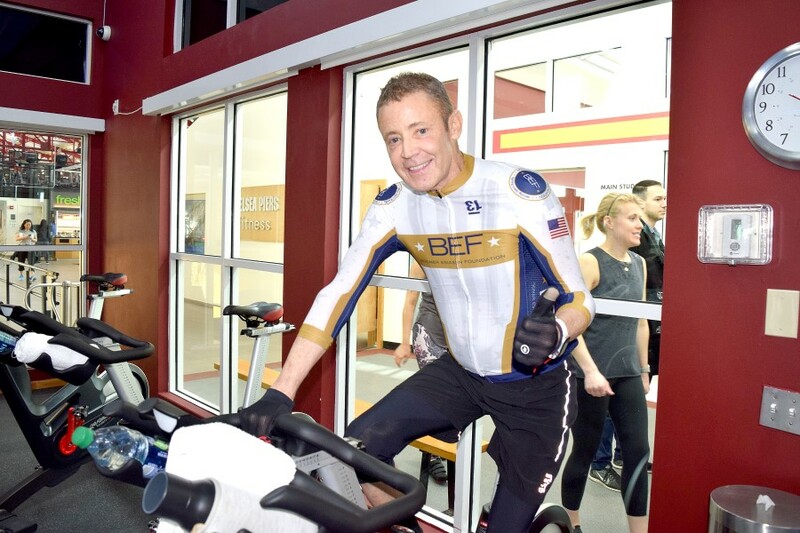 Cahill took part in a “Cycle for Cystic Fibrosis” event on March 28 at Chelsea Piers to raise money for CF research. 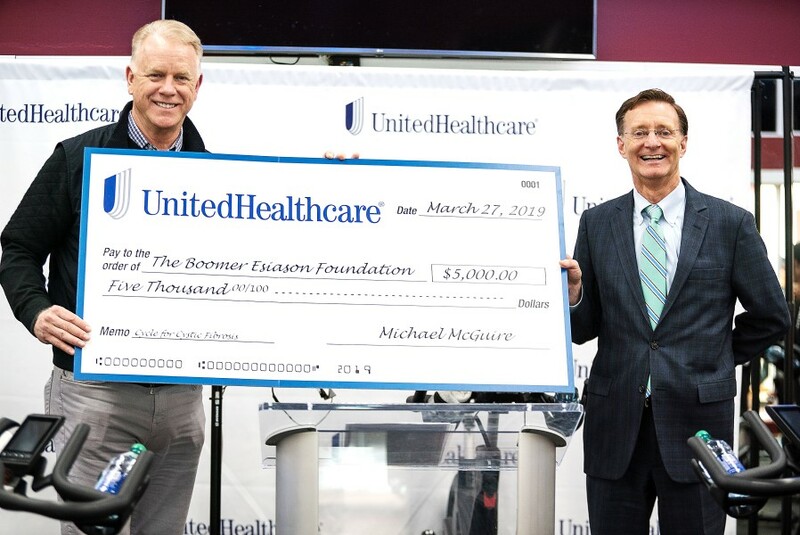 It was sponsored by UnitedHealthcare in conjunction with the Boomer Esiason Foundation, which provides support for CF patients, which number about 30,000 in the United States. Former NFL quarterback Boomer Esiason founded the organization after his son Gunner was diagnosed with CF in 1993. 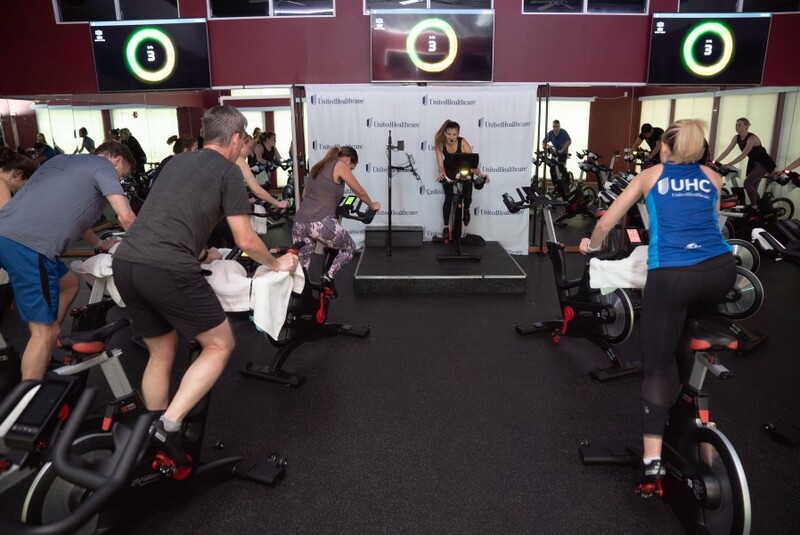 “Cycle for Cystic Fibrosis” served as the kickoff for Wellness Week, a partnership between UnitedHealthcare and Chelsea Piers Fitness that encourages people to be more active by offering group exercise classes for only $5 each. “It’s about helping people live healthier lives and getting them to exercise,” said McGuire, Chief Executive Officer of UnitedHealthcare of New York. 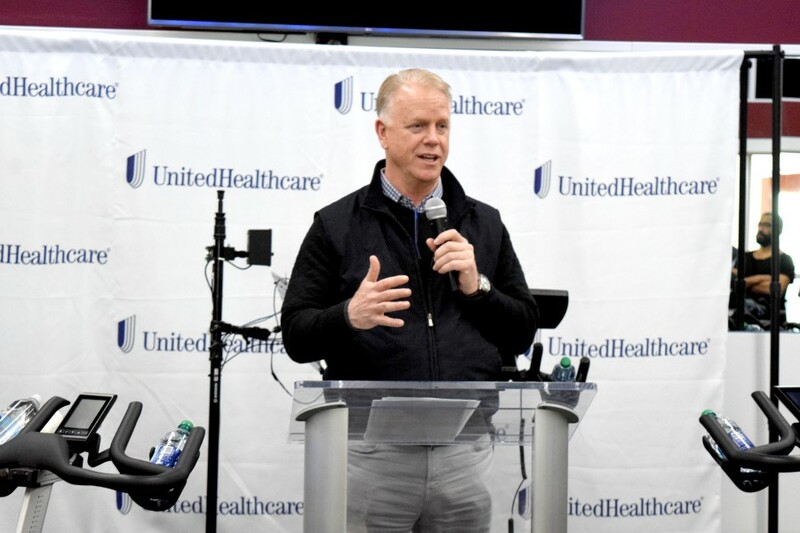 Esiason suggested that his greatest legacy would be the work of his Foundation and the battle his son has waged against the disease while performing advocacy. Cahill said he was not diagnosed with CF until age 10, which is relatively late as far as the disease goes. “The technology is better now. They can diagnose earlier, the therapies are better,” he said. 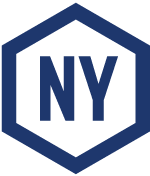 Cahill experienced a significant health challenge in 2012 when he required a double lung transplant, which was performed at The Gunnar Esiason Adult Cystic Fibrosis and Lung Program at New York-Presbyterian Hospital in Washington Heights. The Brooklyn resident routinely travels to Northern Manhattan for his follow-up care. “I’ve got to be cautious about infection control,” he said. In 2012, Cahill underwent a double lung transplant. McGuire (center) took part in the group fitness demo. “You need to keep the body moving,” says Jerry Cahill, who lives with cystic fibrosis. Michael McGuire, Chief Executive Officer of UnitedHealthcare of New York (right), presents check to Boomer Esiason. Group exercise classes will be offered for only $5 each. Former NFL quarterback Esiason founded the organization in 1993.